The two men first worked together in 1935, at the Eltinge Burlesque Theater on 42nd Street—now the lobby of the AMC Empire movie complex in New York City. This first performance together occurred due to Costello’s regular partner being ill. When AMC moved the old theater 168 ft. further west on 42nd Street to its current location, giant balloons of Abbott and Costello were rigged to appear to pull it. Both signatures are in light blue felt tip pen and grade a 9. Also personalized “To Roy”. 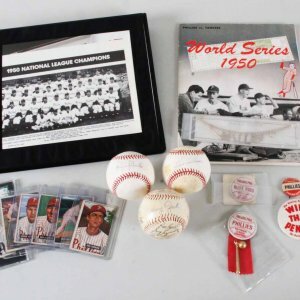 This item originates from the Roy Moseley collection. 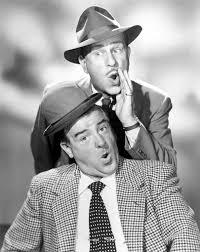 Moseley was one of the leaders in show business journalism in England. He wrote many books that appeared on the New York Time’s Best Seller List. Being an author in high regard had its perks, as he was closely connected to royalty and celebrities. Hence his notable work, “My Stars and Other Friends” provides a glimpse into the lifestyle us everyday people dream about. 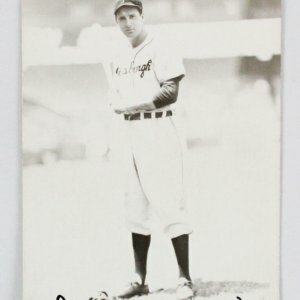 During his career, Moseley brilliantly gathered in person some of the finest autographs in the world. Some were personalized to him as a testament to their respect and kinship. 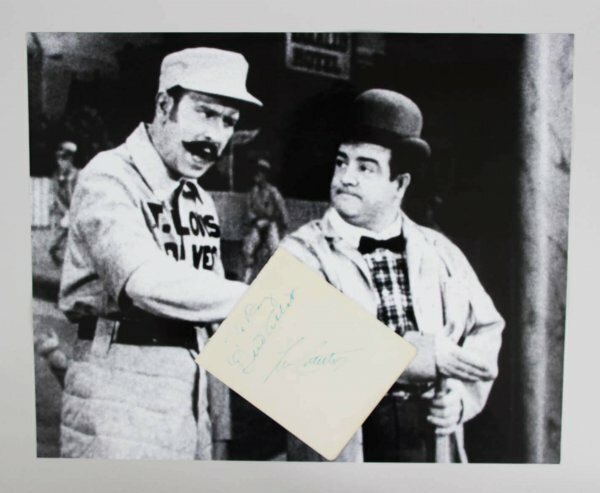 Every celebrity has a story as well as every autograph Moseley obtained. Here now is one of those legacy pieces for your collection.